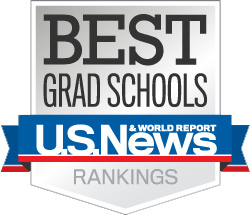 According to the 2020 (released in March 2019) U.S. News and World Report rankings of graduate programs, GW's Trachtenberg School of Public Policy & Public Administration is tied for 14th overall among 285 schools considered this year. Additionally, the Trachtenberg School was ranked by peers in eight of 12 specialty areas, up from five last year. To be ranked in specialty areas, peers at other schools must list a program as an academic thought leader in that field. The Trachtenberg School’s specialty area rankings highlight the many areas of expertise among the faculty. The school is 8th in international global policy, 9th in public management and leadership, 10th in public policy analysis, 11th in public finance and budgeting, 12th in health policy, tied for 14th in homeland security and emergency management, 20th in nonprofit management and 20th in social policy.